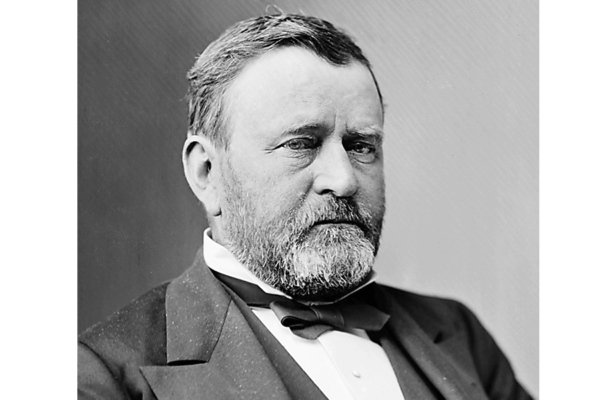 Ron Chernow has written a splendid new biography of Ulysses S. Grant, and it has caused me to reflect on the judgments we make about historical figures. I have long held Grant in low esteem, for several reasons. Everyone knows he had trouble controlling his drinking. But that’s not one of my reasons; he fought his demons and eventually overcame them. I feel differently about his flirtation with the Know Nothing party and his proposal for a constitutional amendment forbidding aid to “sectarian” (read “Catholic”) schools. Hence my low opinion. But Grant was still the man who won the Civil War, and not because he was a determined butcher, as folklore has it. He was a strategic genius. His victories in the West at Vicksburg and Chattanooga showed invention, nerve and political acumen. In the East, he succeeded in capturing Lee’s army where Scott, McClellan, Halleck and Meade had failed. Grant shared Lincoln’s humanity toward freed slaves. He brought tens of thousands into his army. He deserves principal credit for the passage of the 15th Amendment, which forbids race discrimination in voting. Grant was modest and irreproachably honest. He loved his wife until his dying day. So was he a great man or, as I used to think, a rat? Who’s buried in Grant’s tomb? My first thought is that Chernow has rendered a real service by offering an account of Grant’s life that runs to 1,100 pages. He helps us appreciate Grant’s great virtues alongside his failings. You can’t do that in a tweet of 280 characters (#BooGrant), which is how we debate such questions today. My second thought is that appreciating Grant’s moral complexity is good practice for thinking about some contemporary issues. Take Woodrow Wilson, a more successful president than Grant. He was the model of a political progressive. He created the Federal Reserve and the Federal Trade Commission, won the first World War and got the Nobel Peace Prize for helping found the League of Nations. Students at Princeton would like the university to remove his name from the Woodrow Wilson School of Public and International Affairs. Or consider the case of Cardinal Bernard F. Law, the former archbishop of Boston. As a young priest in Mississippi, he got death threats for his defense of civil rights. In the 1970s, he did much to promote unity among Christians and warm relations with Jews. He was a lion in defense of the poor and the unborn. He quietly visited the sick and dying at all hours of day and night. But then he covered up sexual abuse in his archdiocese and allowed great harm to the flock he was ordained to protect. Last month, Pope Francis provoked an angry response from victims when he offered a benediction at Cardinal Law’s funeral in Rome. I wish we had a litmus test to identify the people who deserve our praise. But it won’t ever be simple. We are all sinners. The best we can hope for is an impressive balance on the side of virtue. As Chernow shows, we should be slow in weighing the evidence. 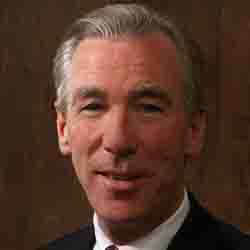 John Garvey, president of The Catholic University of America, writes the Catholic News Service column "Intellect and Virtue."